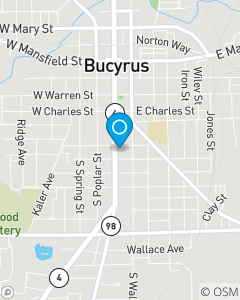 We strive to be Bucyrus, OH first and preferred choice for Auto, Home, Life and Health insurance needs while becoming a valuable and contributing member of this community that we serve. We will treat our customers as we would want our family treated and provide a level of professional service that exceeds all expectations, EVERYTIME!! We will help you understand and avoid the risks of everyday life.